Candidates for the Division 1 seat on the West Virginia Supreme Court of Appeals gather Sunday in Wheeling for a candidate forum jointly sponsored by the county Republican and Democratic parties and the Ohio County Bar Association. 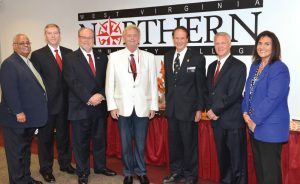 Pictured, from left are Jeff C. Woods, Ronald H. Hatfield Jr., Chris Wilkes, Robert Carlton, Harry “Bo” Bruner Jr., Tim Armstead and Joanna Tabit. Also present, but not pictured, was Hiram “Buck” Lewis IV. Candidates D.C. Offut Jr. of Cabell County and Mark Hunt of Kanawha County did not attend. WHEELING, W.Va. — Candidates for the Division 1 seat on the West Virginia Supreme Court of Appeals believe the state’s court system needs to move quicker and be more affordable and accessible to the public. 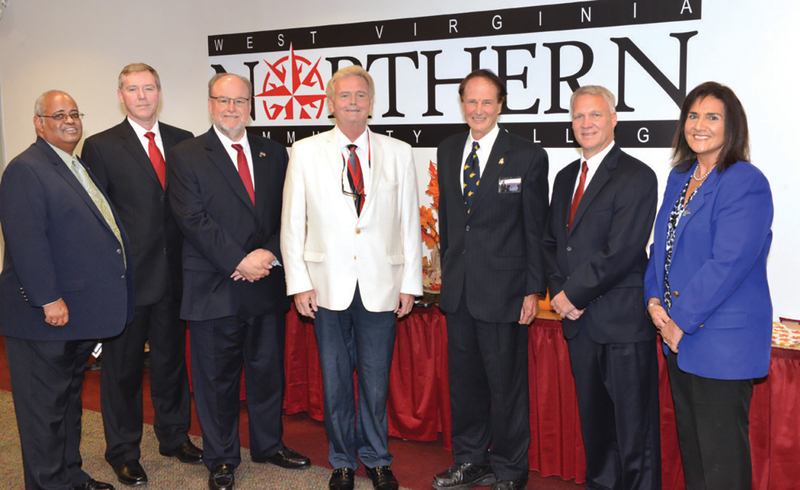 Eight of the 10 candidates seeking election to an unexpired two-year term on the court convened Sunday at West Virginia Northern Community College in Wheeling for a candidate forum jointly sponsored by the county Republican and Democratic parties, and the Ohio County Bar Association. Participating in the event were Tim Armstead, Kanawha County; Harry “Bo” Bruner Jr., Kanawha County; Robert Carlton, Mingo County; Ronald H. Hatfield Jr., Cabell County; Hiram “Buck” Lewis, Clay County; Joanna I. Tabit, Kanawha County; Chris Wilkes, Berkeley County; and Jeff C. Woods, Kanawha County.